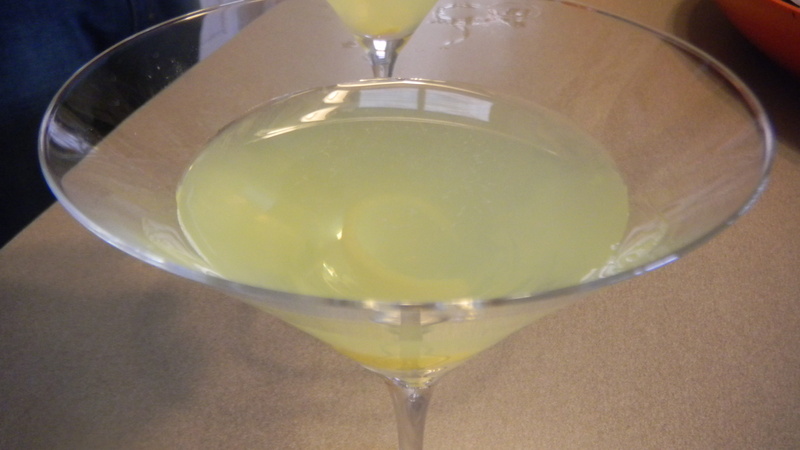 Yesterday, in honor of the absolutely gorgeous weather, Dan and I made a refreshing Spring drink – a limoncello martini. 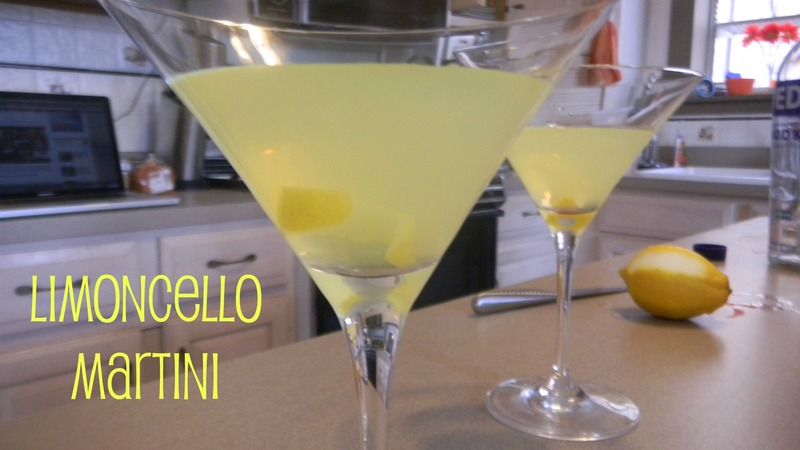 It’s super easy – just 2 parts vodka, 1 part limoncello. Same as a regular martini, just substituing limoncello for vermouth. For an extra touch, Dan curled some lemon peel. Pretty. Yay for some warmer weather this past weekend. 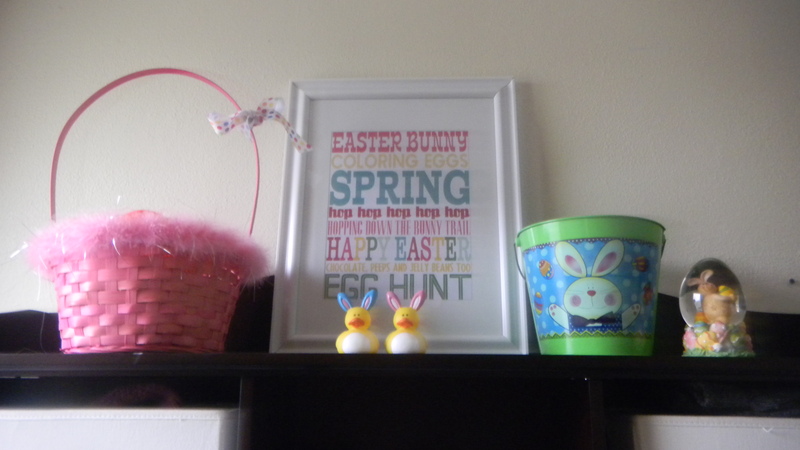 Perhaps it’s a sign that spring is really here…hopefully. 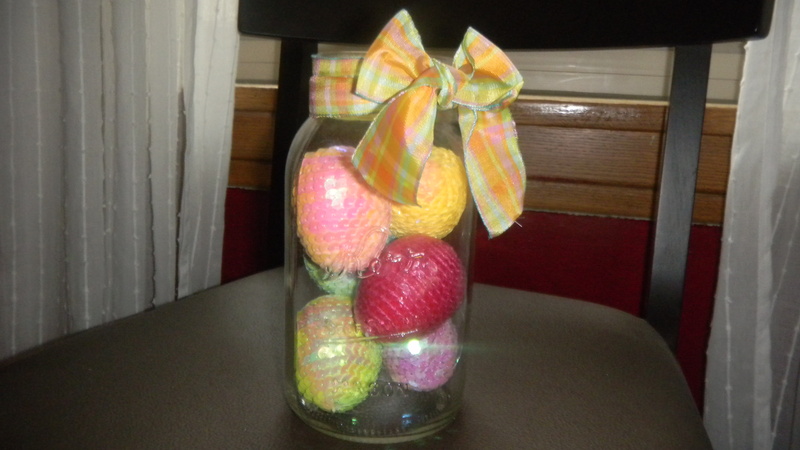 In honor of the changing seasons, I’m going to share a spring-y project I recently completed that was both easy, and cheap (less than $3). 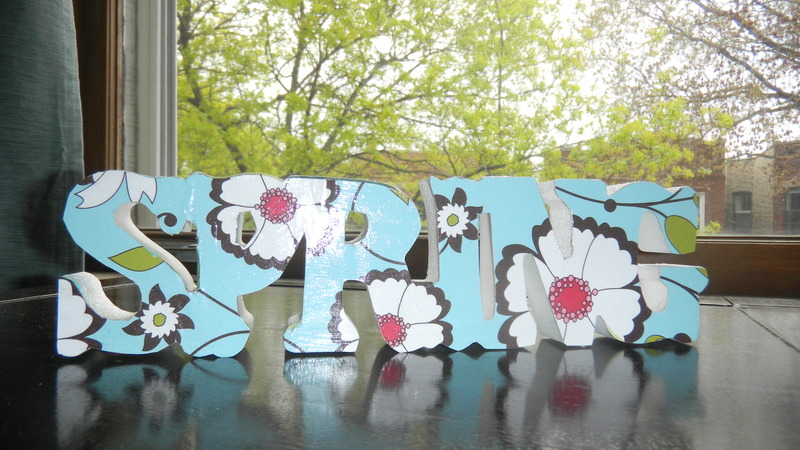 I bought this sign that says “Spring” from Target. 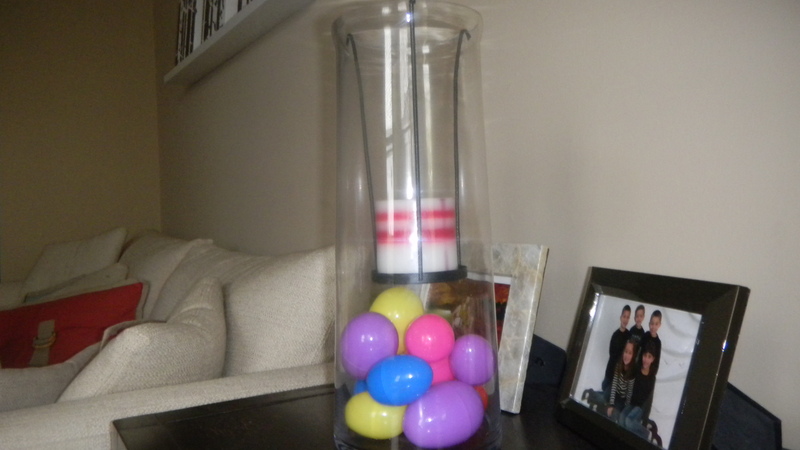 It was lumped in with their discounted Easter stuff. At 70% off, it only cost $1.80. I liked it, but wasn’t a huge fan of the colors. Kinda ugly if you ask me. 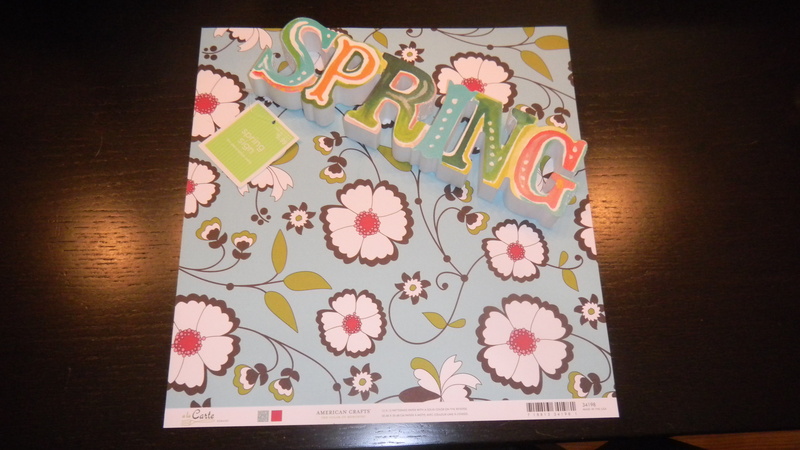 So I thought it would be an easy fix to pick up some spring-y scrapbook paper and decoupage it on, as I already had some Mod Podge at home. Here are my supplies. First, I traced an outline of the sign on the back of the scrapbook paper with pencil. I cut it out with scissors, then to make the paper line up with the sign as much as possible, I took an Exacto knife to it. 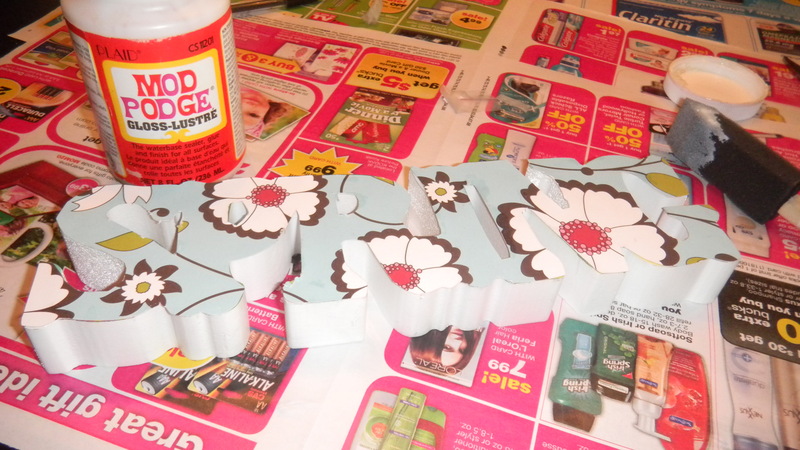 Once I had the shape, I put a thin layer of Mod Podge (available at any craft store, mine was from Hobby Lobby) on the front of the sign and another thin layer on the back of the scrapbook paper. 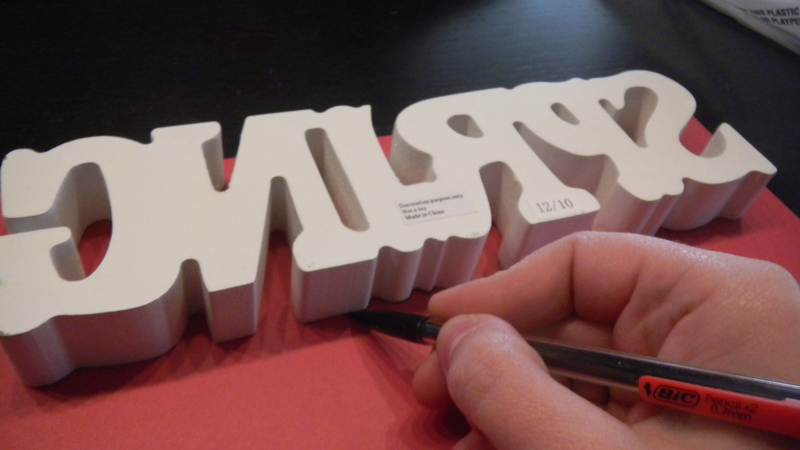 Next, put the paper on top of the sign and press out any creases/bubbles you see. Of course, make sure to cover the surface you’re using to protect it. 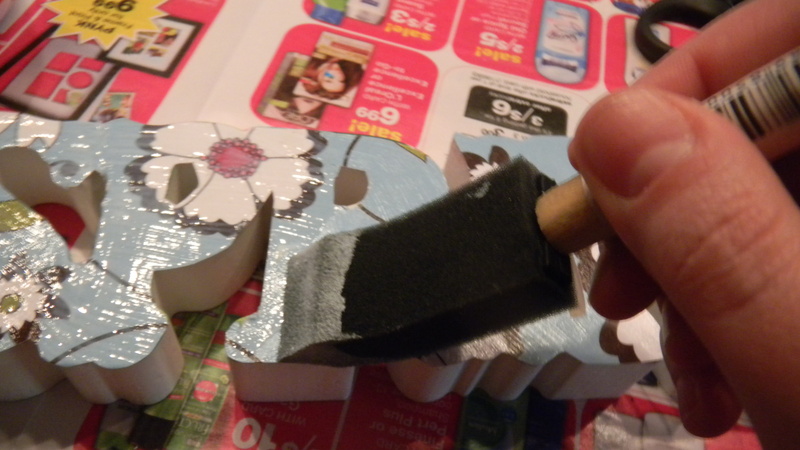 Add another layer of Mod Podge to the top of the paper. 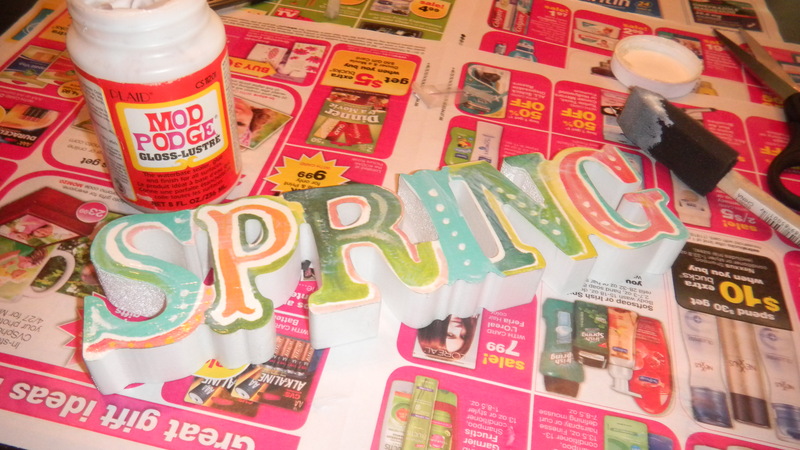 I let it dry for about 20 minutes, then I put another coat. Wait another 20 minutes and your sign is done.